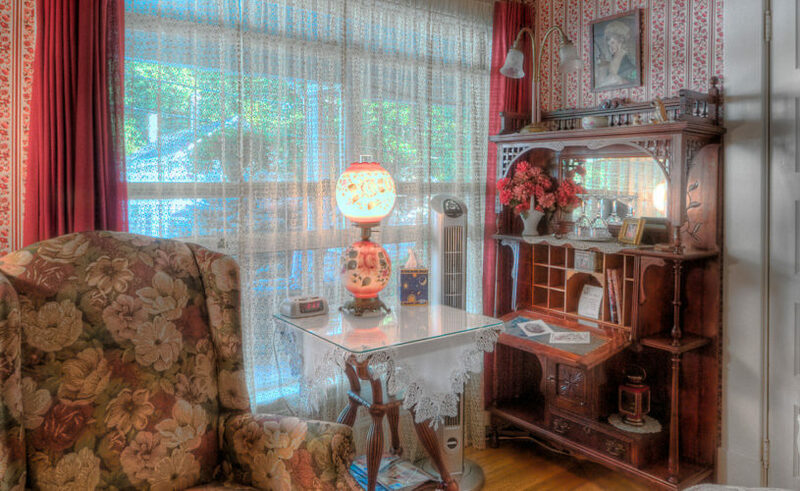 Our “Ruby Room” is an elegant first-floor guest room overlooking the front veranda of the mansion. The room decor includes an iron-and-brass queen bed, ornate cherry secretary, and numerous other antiques gathered from around New England. 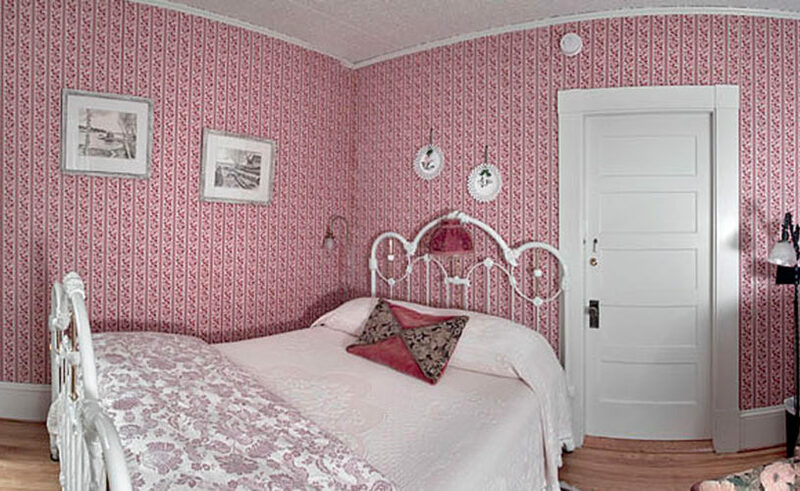 The burgundy wallpaper reflects the name of the accommodations and white trim, hardwood floors, and lace curtains round out this warm and welcoming Maine Victorian bed and breakfast room! Ruby Room also has a private bathroom featuring a glass shower and marble-top mahogany vanity.